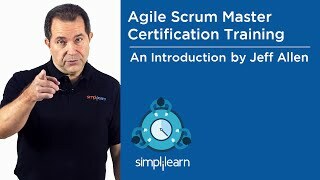 Last year, I enrolled for the ASM (Agile Scrum Master) course conducted by Simplilearn. I received a good deal on the course fee, as it also included a complimentary EXIN exam voucher, using which I could enroll and sit for the official EXIN ASM examination too. The best part of this deal was that both the live classes and the EXIN examination can be taken from the comforts of our home. Every Simplilearn student will be provided with a personalized portal access (lms), using which the student can watch the recorded course sessions and take part in the objective tests, which will sure help to boost one's confidence levels as we progress through the course. Using the ‘lms’ portal, we can download the study materials and recordings of past live sessions and also attend the live instructor lead classes. I was so impressed by the professionalism and sound practical knowledge exhibited by our tutor. Even though once in a while, some participants experienced an issue with audio/video renderings, their technical staff was able to rectify them at once. I attended all live classes (eight in total) using a mobile 4G network, I never faced a single issue with live class delivery. 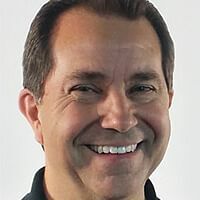 I was already familiar with webex remote sessions and it is such a flawless medium to attend live sessions and to provide remote technical support. Even beyond the classes, the Simplilearn staff was so helpful in listening to all my queries and helped to resolve them immediately. I also received extensions to access the learning portal and even attended multiple live batch sessions. I will recommend ‘Simplilearn’ to all aspiring IT and Management professionals, who are aiming to get popular accreditations like PMP, Prince2, Agile Scrum, Cloud Architect, etc. to advance their careers. Our instructor had an in-depth knowledge of the subject and explained each method with practical examples that we could relate to. Everything, the trainer, tools and technology used, the pace and accessibility was really good. I like that there are downloads attached to the course to review and anticipate what is coming up. There is a lot of good material and I look forward to reviewing it. It is accessible (WebEx easily installed on my Mac, the system quickly called my phone, and the audio is clear), the pace is good, and the examples have been clear. Simplilearn is a great place to learn new skills. I have completed my Agile Scrum Master certification from Simplilearn. The course content is good and very easy to understand. The certification helped me to get a job offer with a great hike. I highly recommend Simplilearn. Course content at Simplilearn is very well structured and relevant for today's market condition. The support staff is very helpful in selecting the course and guiding the participant. Simplilearn has been amazing with getting me certified in Agile. I can't wait to apply what I'm learning here. I would highly recommend Simplilearn to my friends and family. The training was a great experience. I am happy to take the training from Simplilearn. The course material and support they provided were great. The videos were also very good. Overall it was a good experience. While searching for a course in Scrum, I came across all the possible websites but none had the offerings of the profound course contents, simulated exams and good support like Simplilearn. I registered for Agile Scrum Master course which contained self-paced learning as well as live classes. The trainer was amazing. He has been working in project management area for more than 20 years, very patient and immensely knowledgeable. Simplilearn has the option for re-registering for a live class multiple times if you want or miss one. The great thing about them is the customer support they provide. Whether you have some queries related to payments or promotions or even the course contents, they respond on the same day. My next courses whatever they are - I’m simply learning for sure. Real life/live scenario's were included in the training. The trainer's command on the subject is commendable.